Tea party attitudes on human origins mirror religious positions, a new poll found. Washington (CNN) - Half of the people who identify with the tea party in a new poll reject the science of global warming (50%) and evolution (51%), sentiments that some observers believe portray an increasingly religious electorate that mimics some GOP presidential hopefuls. According to a Thursday release from the Public Religion Research Institute, the firm that conducted the poll, these results present a strategic challenge for GOP presidential contenders. “Americans who identify as Republican, along with key groups in the Republican base such as white evangelical Protestants and members of the tea party, hold views that differ significantly from the general population and from political independents,” stated an analysis of the poll. These numbers mirror those in a September 9-11 CNN/ORC International poll that found 58% of tea party Republicans don't believe global warming is a proven fact and 50% of tea party Republicans don’t believe the theory of evolution is true. Dunn said these deeply religious beliefs will lead the eventual Republican nominee to rebrand his or her opinions once they get into the general election, moving from courting the religious right to the less religious center-right. Robert P. Jones, CEO of the Public Religion Research Institute, agreed on the differences in opinions. This divide between right and center-right was evident in the CNN poll, too. Tea party Republicans believe global warming is not true by 20 percentage points more than other Republicans. Other Republicans are less sure on evolution, too, trailing tea party Republicans by 11 percentage points when asked whether the theory of evolution is true. Dunn said it is possible to walk this dividing line, though. Citing President Reagan, Dunn said a candidate’s charisma can overshadow religious beliefs for some voters. Early in the GOP nomination race, those dividing lines between religiosity and science are already beginning to be drawn. "When you make comments that fly in the face of what 98 out of 100 climate scientists have said, when you call to question evolution, all I'm saying is that in order for the Republican Party to win, we can't run from science," Former Utah Gov. Jon Huntsman said at the NBC News/Politico debate in September. Huntsman was responding to comments made by two fellow Republican contenders, Texas Gov. Rick Perry and Minnesota Rep. Michele Bachmann. At an August event in Portsmouth, New Hampshire, Perry said the theory of evolution “has some gaps in it.” He has also called manmade climate change a tool for scientists to get more grant money. "I think we're seeing almost weekly, or even daily, scientists that are coming forward and questioning the original idea that manmade global warming is what is causing the climate to change,” Perry said at another event in New Hampshire. Bachmann has made similar statements questioning the legitimacy of evolution and stating that the causes and effects of climate change are still unconfirmed. The poll also found party divisions over climate change. According to the poll, 81% of Democrats and 70% of independents believe the Earth is getting warmer, compared with 49% of Republicans and 41% of people who identify with the tea party. Conducted by phone between September 14 and 18, the Public Religion Research Institute poll results reflect the responses of 1,013 adults 18 or older. The sampling error for the survey is plus or minus 3 percentage points. @tom: yeah i would say there is a correlation between indoctrinated children and failing math and science standings in america.....if the bible already told them all they need to know then what could science possible teach them. @chad: evolution is the umbrella term used to describe adaptation of a species over time. some mutation prove beneficial, like smaller nasal passages for humans in colder climates; others can prove to be fatal such as sickle cell anemia, which is the bodies way of trying to prevent fetal death due to malaria. let's not forget about human body fat, which is blubber, same as one other marine mammals; it serves no purpose on dry land, truly it prevents use from cooling properly. ofcourse we could go into the tiny muscles that give you goosebumps which were useful when humans had more body hair.ever noticed how land mammals bristle their fur to either appear larger or to help cool their bodies by releasing stored heat from under there fur? those muscles aid in that funtion. so why do we have all these useless and some quite deadly things if there was a sudden change in the species or design? answer because there hasn't ever been a plan. evolution/adaptation is a stop and start process, things change and for a while that change may work, but if something in the enviroment changes say like temperature getting warmer or colder then that adaptation could help or hurt the population to the point of extinction. so here are some examples and a rather clear explaination of how adaptation works without a designer. Brain, if the TeaPartyNation web site represents the Tea Party. Tea Party Nation spends most of its effort on pure politic efforts to destroy the Democratic Party and enhance the Repbulican Party. By your definition, I am a Tea Party member. 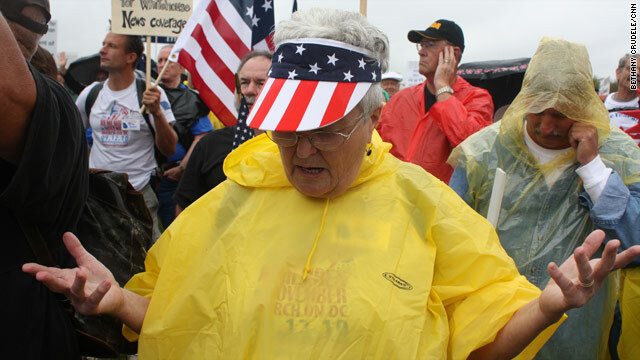 But I am ashamed to even consider associating myself with a group that might be confused with the Tea Party Nation. It is evil.